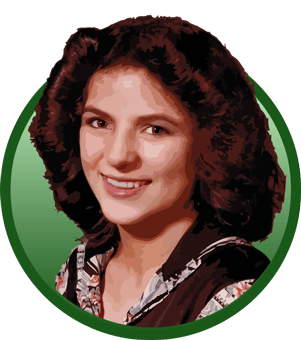 Paulita’s Hatch Green Chile Stew is certainly our favorite and it is so versatile! 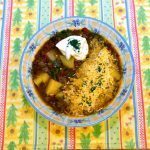 When those cold winds start to blow make a big stock pot of Paulita’s Hatch Green Chile Stew and warm your whole family. This recipe also makes awesome burritos and stuffed sopas. It really doesn’t get any easier than this. Feel free to halve this recipe but we make the whole thing as left-overs just get better and better. 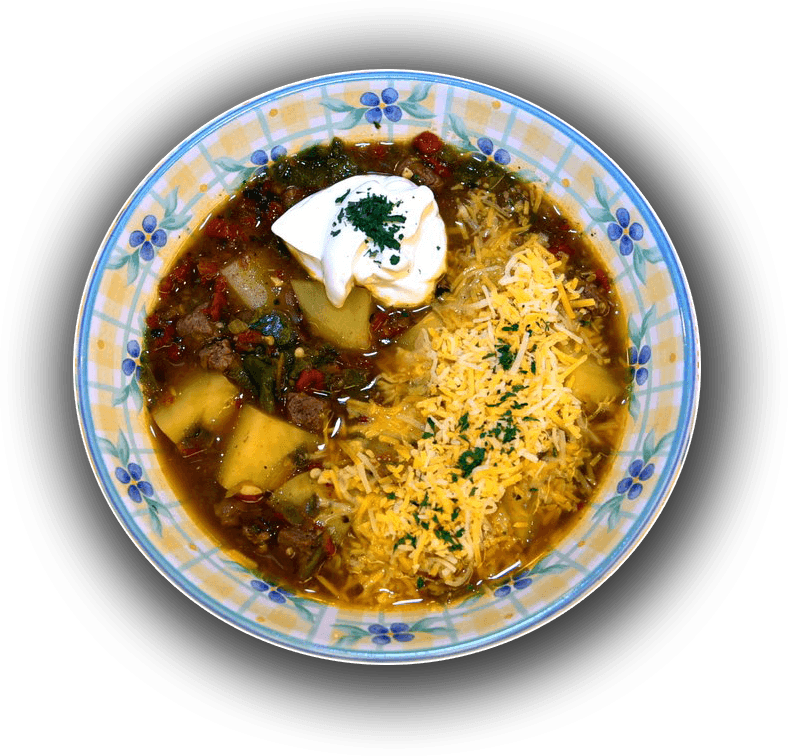 Paulita's Hatch Green Chile Stew is certainly our favorite and it is so versatile! 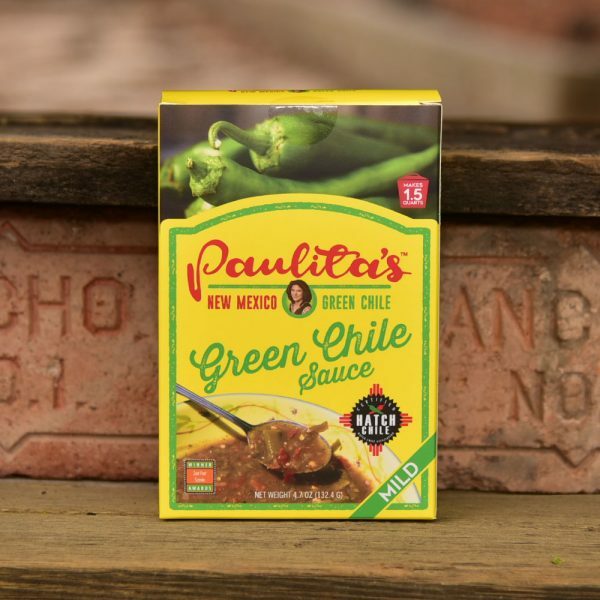 When those cold winds start to blow make a big stock pot of Paulita’s Hatch Green Chile Stew and warm your whole family. This recipe also makes awesome burritos and stuffed sopas. In a 6 quart stock pot or other suitable pot add a small amount of oil and saute meat until brown. Add the water and Paulita’s Green Chile Sauce. Bring to a heavy boil and then reduce heat and simmer for 5 minutes stirring occasionally. Add potatoes and continue to simmer, stirring occasionally, until potatoes are done to your taste. Altitudes vary so we didn’t list a time. Serve in large bowls with diced onions, sour cream, shredded cheese and fresh warm tortillas. Use a slotted spoon to remove the larger items from the stew and wrap them in a tortilla. Place the burrito on a lightly oil plate and cover with the thinned green chile stew and top with cheese. 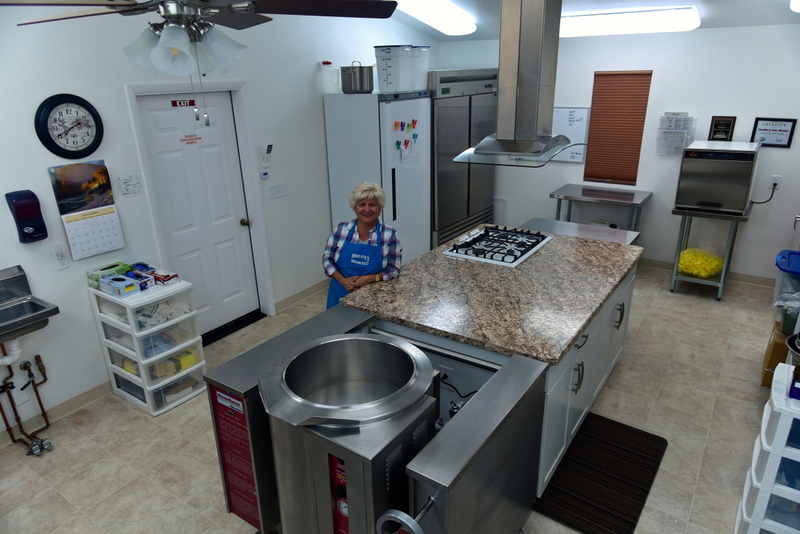 Place in a 350 degree oven for 10 minutes or until cheese is melted. Serve with sour cream and diced onions. Thicken boiling stew with potatoes done to your taste with 4 tablespoons corn starch in 1/2 cup of cold water. Stir in starch and continue to boil for at least 3 minutes. Remove from heat and allow to cool. Roll jelled stew into tortillas with onions, sour cream and cheese. Wrap in plastic wrap and then foil and freeze. To serve simply remove the foil and heat in the microwave. The aroma that filled the air while Paulita’s Hatch Green Chile Sauce was simmering put me right in New Mexico. The sauce is like nothing I’ve ever tasted before. Its perfectly balanced spices tickled every taste bud on my tongue. We tried this with the HOT chile sauce and halved the recipe, it was to die for with just the right amount of heat to satisfy that euphoric high sensation that a good chile gives you. 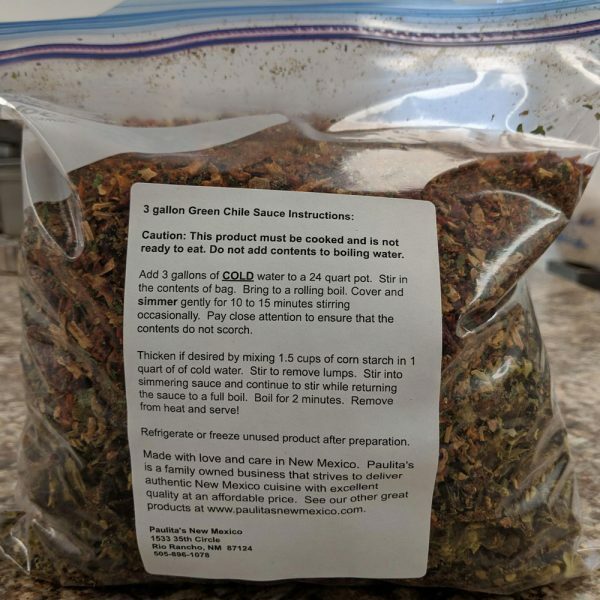 I can’t wait to try the Hatch green chile chicken enchiladas! Everyone at the party was asking for the recipe! The family has put this recipe on the “MUST DO ONCE A MONTH” list. Leftovers are amazing!!!! A friend of mine turned me on to Paulita’s New Mexico and I am so happy she did. We tried this recipe with the “HOT” and it was incredible. Not too spicy for the kids, but just the right amount of heat to satisfy that Chile pepper craving.